After receiving numerous complaints, the Division of Consumer Affairs found Carmelo and Ignazio Giuffre, the owners several NJ/NY dealerships, guilty of deceptive business practices. They must now pay $1.8 million in addition to a consumer restitution settlement. According to this report, 45 people filed complaints citing allegations including: bait-and-switch tactics, add-on sales without consent, failing to refund deposits in a timely manner after consumers either canceled the sales or were denied financing, advertising cars without including required information such as vehicle identification numbers, and failing to provide consumers with motor vehicle titles and registrations in a timely manner. This is not the first time the Giuffres were the target of a Consumer Affairs investigation. In 1999, Carmelo and Ignazio, in addition to other dealerships, were found guilty of similar business practices as those described above and reached a settlement totaling $450,000 with an agreement to no longer engage in such activity. Now the Giuffres must provide restitution to the victims in addition to hiring a state appointed "compliance monitor" that will oversee business operations. 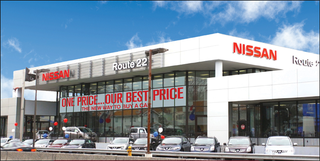 The dealerships named in the settlement are as follows: Route 22 Toyota, Route 22 Automobiles Inc, Route 22 Honda, Route 22 Nissan, Hillside Automotive Inc. Route 22 Kia, Hackettstown Auto Sales, Hackettstown Honda, Hudson Auto Sales Inc., Hudson Honda, Freehold Automotive, Freehold Hyundai, and Freehold Chrysler Jeep. As a buyer's consultant, I have had personal interactions with a few of the above named dealerships and found them to be dismissive or even downright hostile towards me when I asked about the details of certain offers and advertisements.